Do what South Africans do best and light a fire for the braai! 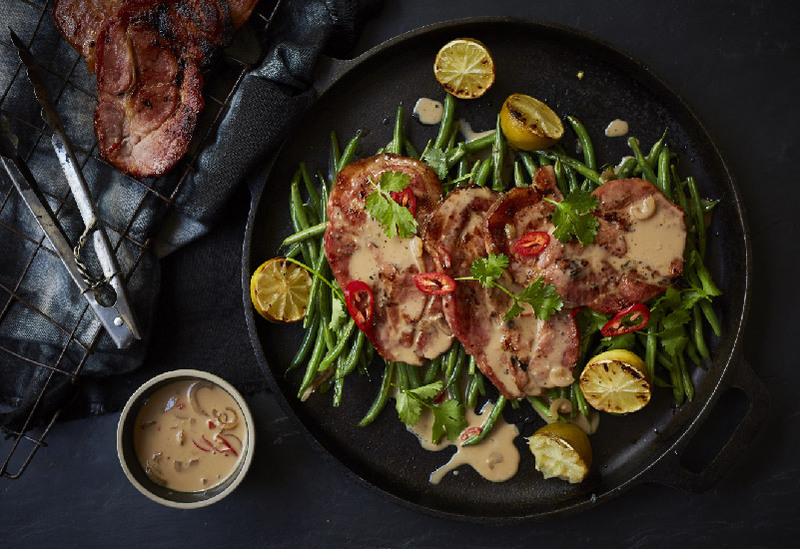 Our Woody’s Pork Neck Steaks are tasty and succulent all on their own, but marinated in a mouthwatering coconut and chill mixture makes things seriously lekker! Make the marinade by combining all the ingredients. Using a sealed container, place the Pork Neck Steaks into the container and pour the marinade over. Set aside to marinate for 1 hour. While the pork steaks are marinating, start your wood fire. Once the fire is ready, grill the steaks on high heat for about 4-5 minutes each side until its beautifully charred but cooked through. Set aside to rest and keep warm. Using a small heatproof pot, place the leftover marinade into the pot and place onto the fire or a stove top and reduce down to half. Use this as your sauce after plating.